The diet is basically divided into 4 phases that starts from shedding the poundage and ends with maintaining the new weight. The first phase is the Attack Phase that lasts up to 10 days. This is the phase when the excess poundage in your body is attacked causing dramatic weight loss. These 10 days you eat nothing other than lean proteins especially meat sources, 1 and ½ cup oat bran and at least 6 cups of water. The second phase is called the Cruise phase where you can eat non-starchy vegetables and 2 tablespoons of oat bran with the bulk of the plan still resting with lean meat sources of proteins. This phase can carry on from weeks to months as may be required. The third phase is called the Consolidation Phase where you can include fruits, a limited serving of wholegrain bread and a piece of hard cheese along with the lean proteins, veggies and oat bran. This is also the phase of the diet when you can treat yourself to ‘eat what you like’ days when you can eat just about everything your heart so desires! The fourth phase is the Stabilization phase where you can eat just about everything you wish as long as they are natural and balanced while keeping just one day of the week to follow the Attack phase plan religiously. 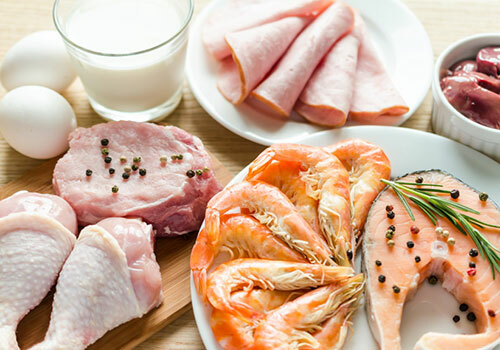 The first thing about Dukan Diet that is sure to win anyone over is the fact that it actually noticeably reduces weight by a few dress sizes and improves silhouette in the first week itself! Secondly, this is not a calorie based diet where you have to be careful about your portions. Your food options are mentioned clearly and comprehensively and you can eat just about as much as is necessary to satiate your stomach. Thirdly, this plan is sure to be a meat lover’s delight. Considering the fact that meat eaters are always few steps ahead in gaining weight than their vegetarian counterparts, this diet is a win-win to cut down in obesity. As a word of caution though, it is imperative to remember not to carry on the attack phase for more than the recommended days. Being based only in meat and lacking in vegetables and fruits for vital nutrients and roughage, the concerned eater can end up with issues like gout, high levels of cholesterol and severe constipation as well.